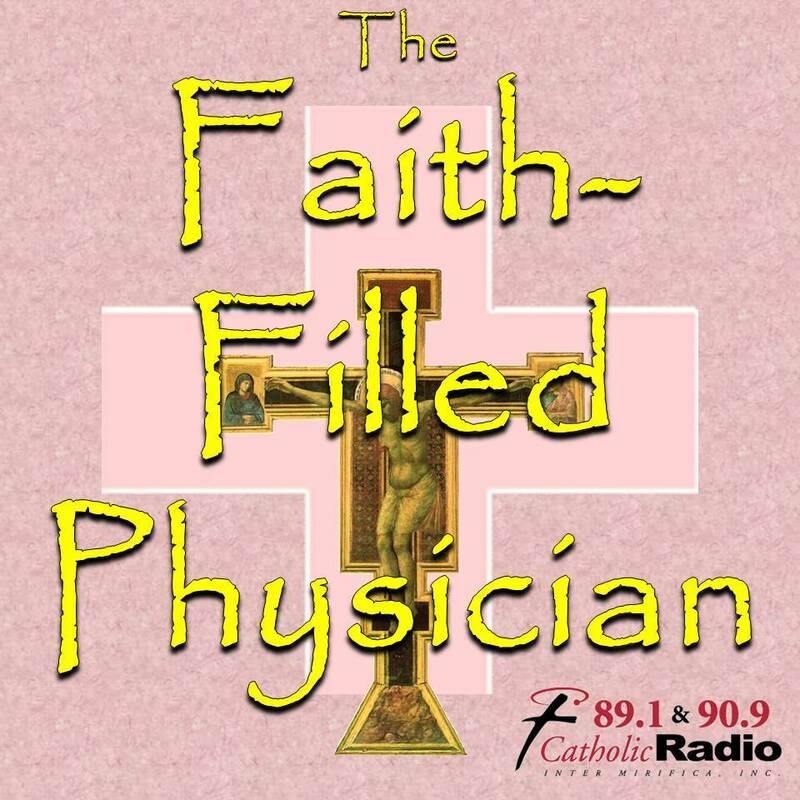 PART 1: PALLIATIVE CARE AND DEATH - Dr. Rafael Rosario from Eskanazi Health joins Father Ryan McCarthy to discuss end of life issues, both medical and moral. PART 2: ENDANGERED EMBRYOS" - Fr. Ryan McCarthy shares his new book "The Least of Our Brothers? : Finding Moral Solutions to the Problem of Endangered Embryos". "SUICIDE" - Father Ryan McCarthy and Dr. Casey Reising join Mj and Jim to discuss the moral and medical aspects of suicide. THE FAITH-FILLED PHYSICIAN: “BREASTFEEDING” with Fr. Ryan McCarthy, Lisa Lahey, Corissa Vanderhulst and Michelle Faehnle. “BREASTFEEDING” - Fr. Ryan McCarthy, Lisa Lahey, Corissa Vanderhulst and Michelle Faehnle join Mj and Jim to talk about the beauty and benefits of breastfeeding. "TOO MUCH SCREEN TIME?" - Father Ryan McCarthy and Mj Krauter lead a discussion on the question of how much time spent on our various devices is too much? "PALLIATIVE CARE" - Dr. Elliott Bedford, MA, PhD., Director of Ethics Integration, St. Vincent Health/Ascension and Dr. Colleen Brown, MD, Director, Adult and Pediatric Palliative Care, St. Vincent Health join Medical Ethicst, Father Ryan McCarthy along with Jim and Mj to look at the role of Palliative Care and the moral and ethical challenges it can pose. "Chastity and the Gardasil Immunization” - Dr. Casey Reising and Fr. Ryan McCarthy join Mj Krauter & Jim Ganley to talk about the pros and cons of the HPV immunization. "DIEING GRACEFULLY" - James Scheidler, MD and Fr. Ryan McCarthy join MJ and Jim to talk about the medical and ethical challenges posed to patient and family alike dealing facing death. "THE CHALLENGES OF LIVING OUT YOUR CATHOLIC FAITH AS A MEDICAL STUDENT OR PRACTICING PHYSICIAN" - Dr. Konrad Szymanski, pediatric urologist, and Nicole Waters, PhD, Catholic Medical Student at Marian University, join Father Ryan McCarthy and Mj Krauter to talk about the intersection of faith and practice in modern medicine.